“We were pioneers in a pickup truck.” In 1929, twelve-year-old Myles Vincent’s family headed out to Vona, Colorado, to an abandoned family homestead. Like so many others, Myles’s father, Lionel, believed that with all the new advances in technology, they could farm the Great Plains and fulfill the American Dream. Years later, Myles shares stories of his life on the prairie with his grandson, Andy. Andy yearns for a bit of the freedom and adventure his grandfather had. When Myles passes away, Andy is haunted by his promise to write down and share his grandfather’s stories. He sets out to learn as much as he can about the time and place his grandfather knew as home—and about the coyote who was such an important part of his life. 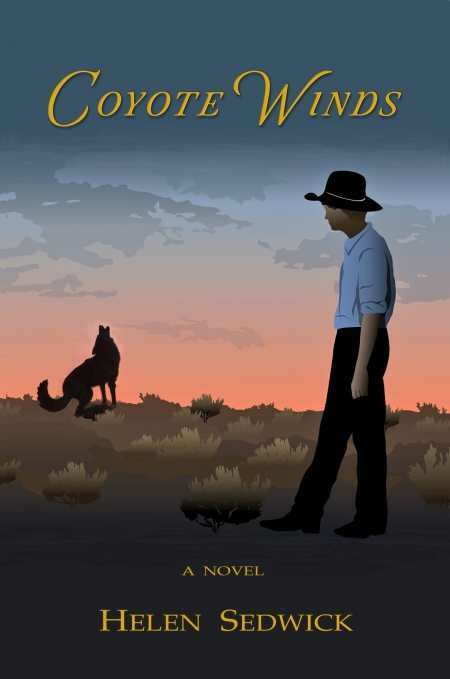 Sedwick doesn’t rely solely on historical facts to set the stage for Coyote Wind, nor does she simply state when the novel takes place. Instead, she creates authentic moments that showcase the American West in the 1930s. The time, place, and spirit of the era become as large a part of the novel as the characters, and are equally significant. Sedwick reminds readers that people are profoundly affected by their time and place, and many of her characters embody that. As a main character, Myles is particularly likeable. He evolves bit-by-bit, in a way that feels realistic. Secondary characters like Myles’s parents and his twin sister are also remarkably strong, and their personal journeys are as important to the story as his own. At the same time, Andy’s family members seem to serve more of a thematic purpose.. To be fair, there is some character development among them, and more time in their company may have felt like a distraction from what lies at the heart of the novel: the story of Myles and Ro, his coyote. As a character, Andy is affable and easy to root for. Like Myles, he slowly evolves into the person he wants to be. Part of the novel’s strength is how fluidly it reads considering its depth. This is no heavy-handed historical novel. Rather, young readers will be drawn into an engaging story that broaches serious questions about family, the American spirit, and hope. There is the potential for its audience to get so much from the book that it could easily be used in a classroom to prompt discussion.